Wow! 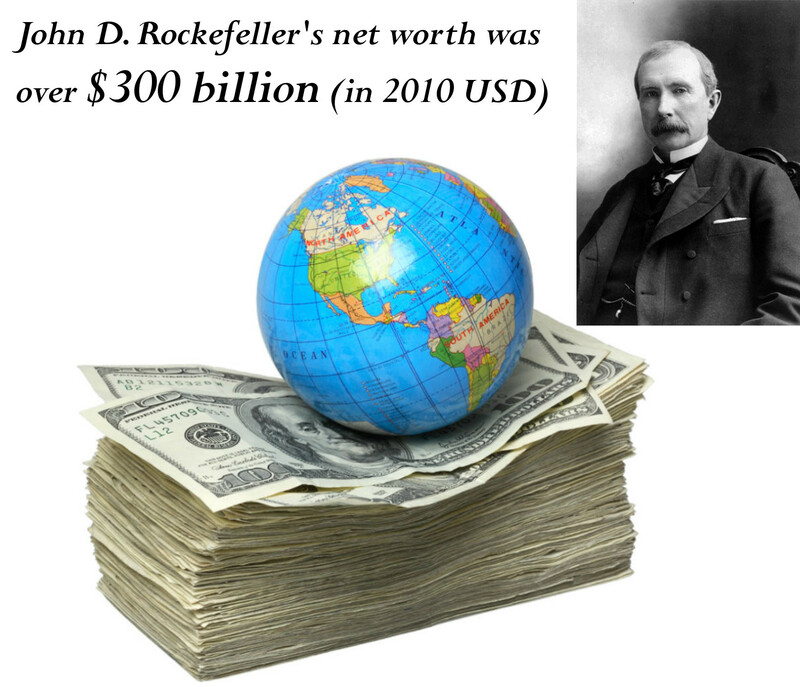 This is an astonishing amount of money that John D. Rockefeller was worth. Rockefeller lived from 1839 until 1937 and was an American industrialist and philanthropist. By the time of his death, his net worth was estimated anywhere between $300 and $700 billion USD (adjusted for 2010 US Dollars). He co-founded the Standard Oil Company which dominated the oil industry which at its peak controlled 90% of all oil in the United States. This monopoly on the oil industry made him the richest man in United States history and one of the richest people to have ever lived. In fact it is very plausible that he had amassed the most amount of wealth of anyone in human history through there own efforts, as opposed to, for example, being supreme ruler and king of Ancient Egypt which technically made of all Egypt the king's sole possession. To put this type of wealth into perspective, many countries in the world today don't even produce a GDP (Gross Domestic Product) as high as this one man's net worth.